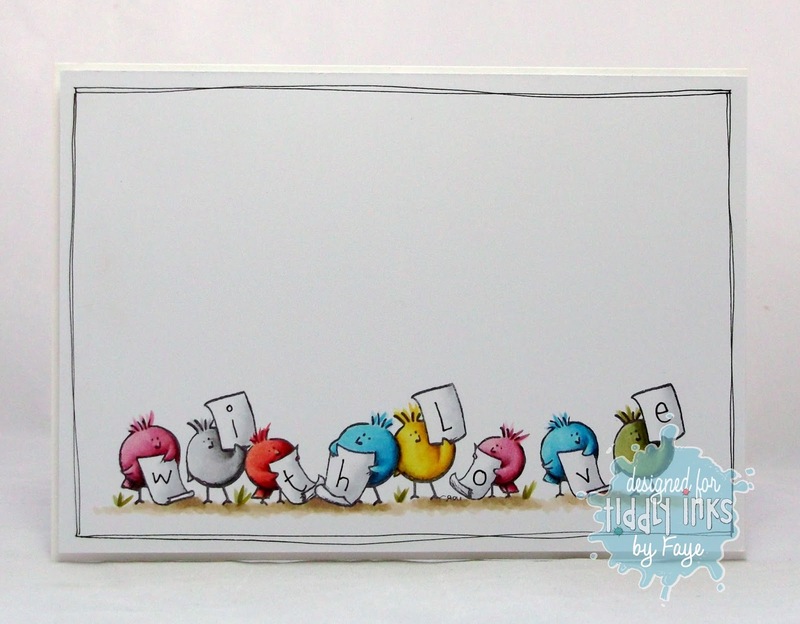 It's Fabulous Friday over at Tiddly Inks. I've been a bit tardy with posts this week, so I'm making sure I schedule this in advance. Oooh, the wonders of modern technology. Who knew! Anyhoo, I thought I'd do something a little clean and simple with For the Birds. The hardest part? Deciding what colour to use for all those cute little chicks. This is such an adorable card Faye. Love it!!! My these are cute aren't they? An adorable CAS card Faye. Fantastic and adorable. Love it. You picked awesome colors for those cute little chicks! I love your card, so much fun! OMG… this is so adorable, Faye! Love the doodles, too! Hugs and well wishes! What cute little birdies - Pip. our Westie would have a lot of fun chasing them round the garden mwah ha ha! So super sweet! Love the bright colours you used. Super cute hon............ and you DID choose the perfect colours for the birdies! Even better news, is that I have that image too...... so your card is gonna inspire me to use it!! Big hugs - have a fab weekend! An adorable little gang. And the doodled frame looks so neat! Perfect! 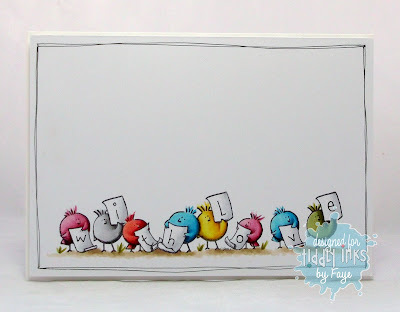 These gorgeously colourful chicks are just the cutest and most cheerful chicks ever!